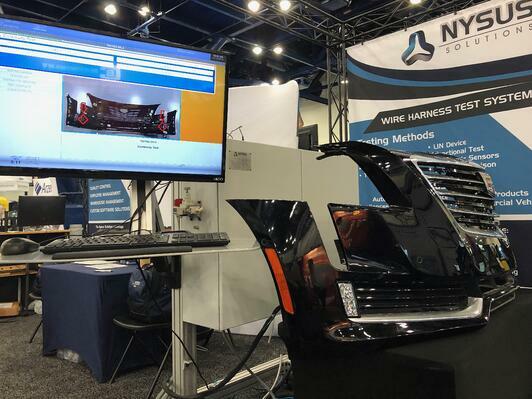 Nysus Solutions is proud to be an exhibitor at Eastec 2019 in West Springfield, MA! 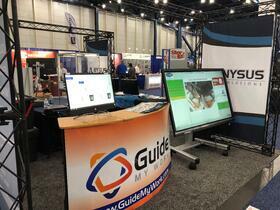 Take a look at a preview of what you'll have a chance to see and use at the show. 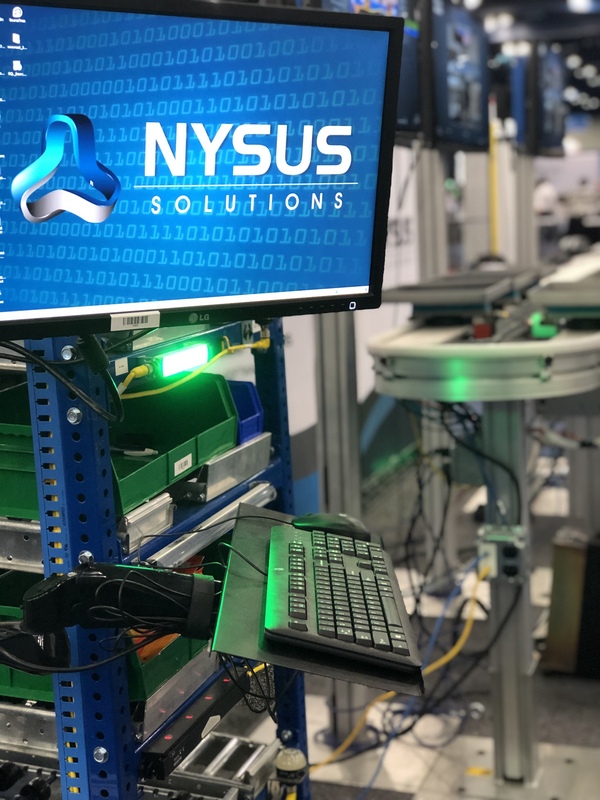 The Nysus Solutions Manufacturing Execution System (MES) is great way to bring your operation to the next level. 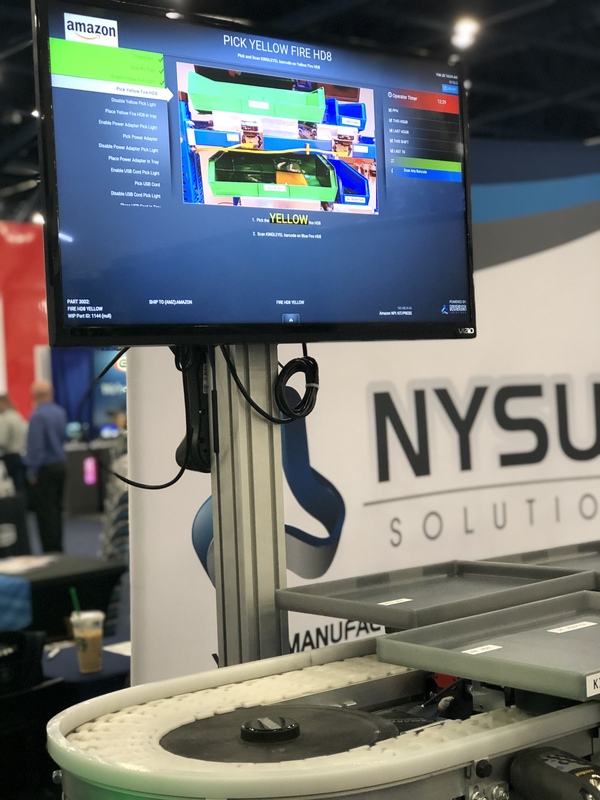 With guided work instructions, real-time feedback, product traceability and historical reporting, this system gives you the tools you need to improve your processes and product quality. Check out our blog post to learn more about What Is M.E.S.? This customizable solution combines our MES software with lighted guidance to ensure correct component picking every time. With options such as racking, lights, locking drawers, sound and more, your operation will experience immediate improvement in accuracy and efficiency. 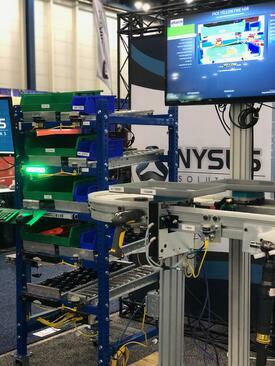 Click here to learn more about our custom software and automation offerings! Click here to learn how automation can solve your manufacturing labor shortage. 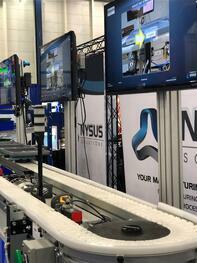 Click here to learn more about our Robotic Integration capabilities and see updates on some ongoing projects! All this for only $3 per day/per station!! 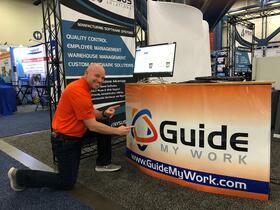 Visit www.GuideMyWork.com for more information and to sign up for exciting product news and releases. 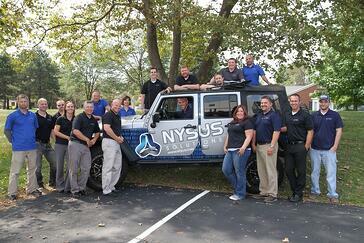 Nysus Solutions Open House - May 3, 2019 - Maumee, OH Office Click Here to Register! Contact sales@nysus.com for more information and FREE Show Passes!